Known for its many long runs for amateurs and advance level riders, Furano offers a mix of both on and off-piste runs, various tours, and breath-taking views across the valley. The resort also allows freedom to slide the abundant side and backcountry, albeit this does not come without rules (refer to the bottom of the page). The large gondola which continues straight from the bottom to the top of the mountain will give you plenty of opportunities for the perfect landscape view. Small powder areas are scattered across the resort with plenty of tree country and ungroomed terrain to explore, as well as other snow activities and backcountry tour options for the adventurous. English speaking staff and ski lessons for kids in English are also available. An especially unique feature to Furano Resort is its access to the small town of Furano, providing an abundance of food and restaurants, shops, arts and crafts and entertainment opportunities. The town allows guests to emerge themselves in an authentic and traditional Japanese environment, all run by local residents, and all very cheap. The town is about a 30 minute walk from Kitanomine, but a cheap taxi ride will be you’re quickest option. If you are looking to ski and board, as well as to get a cultural experience, then Furano resort is definitely one to consider. If search-and- rescue operations are conducted in the event of an emergency, the person(s) searched for and rescued will be responsible for all expenses involved. In the event of an emergency, inform us of the area through which you exited the controlled area, your name, phone number, colour of gear/clothing, current conditions (i.e. got lost/injured, an avalanche) and the altitude and longitude of your location. 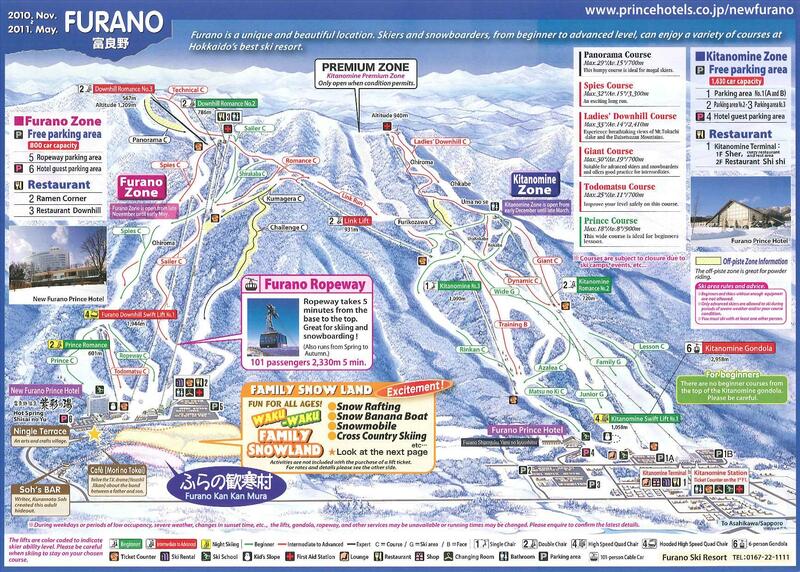 Furano Ski Resort is situated in central Hokkaido, 59km south of Asahikawa and 141km northeast of the city of Sapporo. Furano is accessible through both New Chitose and Asahikawa airport.The trip takes about 3.5 hours from New Chitose or 1 hour from Asahikawa. We provide transfer options to and from both New Chitose and Asahikawa airports and Furano. Meet and greet services at the airport will be provided. If you wish to travel to Furano via private transfer, we provide a number of options to cater for your transport needs, regardless of group size. 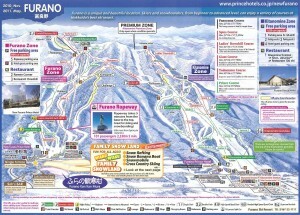 Furano is also a great base as you can access other ski resorts nearby. Organised buses to travel to other resorts are available at your convenience, so please contact us with your plans or queries. A holiday spent at Furano Ski resort can be well supplanted by an array for activities including snowmobiling, ice hole fishing, onsen tours and hot air balloon rides. There are also art galleries, a winery, and arts and craft workshops to enjoy. 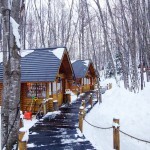 The resort provides backcountry ski tours to the surrounding peaks around Furano. In the summer, people flock to Furano for the famous lavender gardens which are just as beautiful as the stunning winter views. The famous Asahikawa Zoo is also accessible by a combination of train and bus from Furano, Private transportation is available and can be easily organised. Like many of the Ski Resorts, Furano is equipped with a range of restaurant and food options at the top and base of the ropeway, as well as at the surrounding hotels. However if you’re looking for a culturally rich culinary experience, then checking out the town of Furano is highly recommended, with many local restaurants and bars selling delicious food at very cheap prices. Furano has a number of ski schools, including Furano Snow School, Furano International Snowsports School and one run by former Japanese Olympian Kiminobu Kimura, all of which provide lessons in English. All provide private, group, and children’s lessons for all skill levels. Rental shops offer a wide range of snow gear and are located in both Prince Hotels, the Furano Zone Ropeway Station and the Kitanomine Zone Gondola Station. If you’re looking for backcountry gear then it may be best to check out the Furano Alpine Backcountry Rental Shop, located towards the top of the main street in Kitanomine. Furano has a child care centre (Kojima Academy – Snow Kids Care), located in front of Kitanomine Gondola with professional English speaking staff and caters for children up to the age of 5. Pre-booking is recommended, with either half day (2.5 hours) or full day (6.5 hours) options available. They also provide a child care/ski lesson combo, which includes a 1 hour private lesson with equipment included. Furano has relatively established banking services with a number of international ATMs. These are located in the post office in Furano town and one ATM and at 7-Eleven in Kitanomine’s main street. Furano also has some 7-Elevens. Enveloped by the grand natural beauty of Hokkaido, Furano is a resort which you can enjoy year-round. 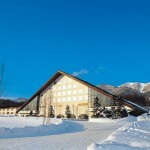 New Furano Prince Hotel can be used as a base for sports or for tourism. A relaxing resort hotel boasting 112 guest rooms, superb amenities, furnishings, bath facilities, and a comfortable atmosphere.Situated in the heart of Hokkaido, Furano has been the stage for a number of dramas. 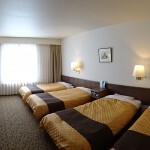 Located 60 minutes from Asahiyama Airport by car, and 7 minutes by car from the city center. This is a resort area where you can realize your dreams. The Supreme Twin offers a supreme view of the mountain ranges of Furano, and … This is the standard twin room design of the hotel, with Brown/Black/Chic style … Here we have a behavior exhibition natural ecology of animals can be seen. 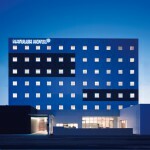 This hotel located in famous Kitanomine of Furano, Hokkaido. Situated close to ski area and offers superb view to our guests.